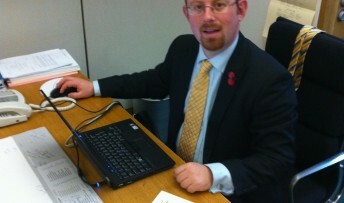 Cambridge youngsters are being encouraged by MP Julian Huppert to take part in a competition which aims to teach primary school children how to use the internet safely. Julian has written to schools across the city urging them to enter the technology competition Make IT Happy and follow in the footsteps of Cambridge’s St Albans Primary School which won the regional heat last year. Children are asked to create an infographic or digital poster to spread the word about using the internet safely. Make IT Happy was created by the Parliamentary Internet Communications and Technology Forum and is run by e-skills UK to encourage the local community to get online and learn new internet skills. Regional competition finalists will each receive £1,200 and the overall winning school will receive an additional cash prize of £4,000. Winners will also be invited to attend an awards ceremony to be held at the Houses of Parliament in June. Julian said: “This is an excellent competition which encourages young children to develop their IT skills while, at the same time being very aware of the dangers of using the web.